Come Tuesday, December 10 at 1 pm EST, we'll get our first trailer for 'Godzilla,' the upcoming reboot from director Gareth Edwards. 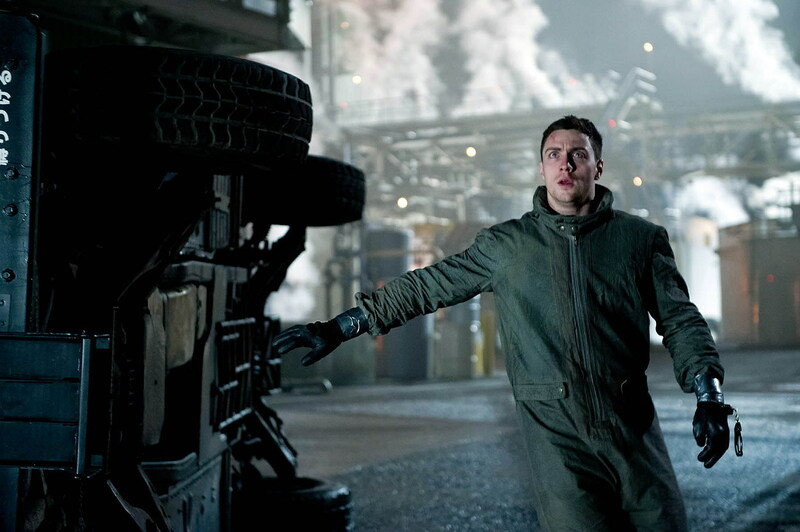 To hold you over until then, three new photos (including one of the colossal beast itself) from the film have been unveiled, and by the looks of stars Bryan Cranston and Aaron Taylor-Johnson, we'll be left speechless. "It was such a shot in the arm to see your star," Edwards told USA Today (which debuted the latest 'Godzilla' photos) of bringing the iconic movie monster to life. "It was like knowing you were pregnant vs. seeing the ultrasound. I suddenly remembered I was making this iconic movie." Fans of the original Toho classic will be pleased to hear that the film harkens back to its roots, and as many of the cast members have already stated, it's also a character- and story-driven piece. We know that the story "pits the world's most famous monster against malevolent creatures who, bolstered by humanity's scientific arrogance, threaten our very existence," but it'll also be "an origin story with a nuclear theme." "To me, he's [Godzilla] like a force of nature, like the wrath of God or vengeance for the way we've behaved," said Edwards. "If this really happened, it would be like Sept. 11. ... I want it to be epic. I want to get the hairs on the back of your neck up."